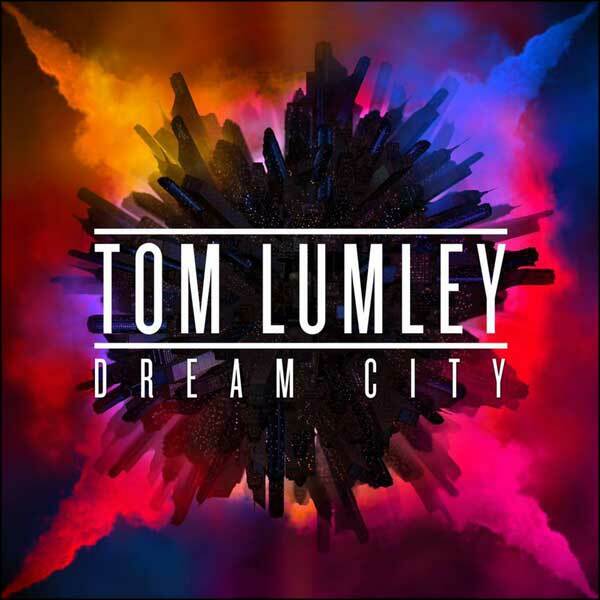 Introducing singer songwriter Tom Lumley, and his debut EP Dream City. I had been featuring the title track on my ‘new releases’ page for several weeks, loving the old school feel, and the way the song constantly develops to create a very catchy slice of pop rock excellence. With the release of the second song Running From Our Lives sounding just as good I felt a few words of recommendation were in order. The Dream City EP is five songs long, direct and unfussy, conveying a very upbeat feel with a natural rock guitar / bass / drums set up. The occasional classy production embellishment provides a little more depth where necessary, and helps keep the sound contemporary, but it is the variation within the playing that maintains the interest throughout. There’s nothing too clever or ‘showoffy’, just tasteful, and for the benefit of the song as a whole. The guitar solo in Open Your Eyes remains sophisticated with just enough about it to bring out a few air guitars in a large festival crowd on a warm Summer evening. Alongside the two releases already, Done My Time sounds worthy of a video / single release too. There’s a laid back ease to it with some cool bass work and another big chorus that glues itself to the ears. With an old songwriting head on young shoulders, and the musical sense to not overplay, I’d expect Tom Lumley to have a very strong career ahead of him. The EP is available now at the usual online distributors... iTunes, and amazon (at time of writing, the EP is half the price at iTunes compared to amazon).